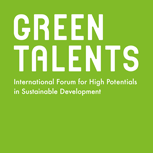 For ten years, the Green Talents Competition is building bridges between outstanding international environmental scientists and the German research landscape. It is motivating to see in our work how many young scientists passionately engage in sustainability research worldwide. After finishing his business degree at the University of Cologne in 1991, Prof Uwe Schneidewind continued his academic career with doctoral studies as well as his habilitation and subsequent appointment as Associate Professor at the University of St. Gallen. Following this, he was appointed Professor at the University of Oldenburg, where he then became Dean and later President of the University. 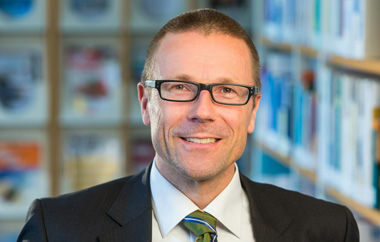 Since 2010, he holds the position as President and Chief Research Executive of the Wuppertal Institute for Climate, Environment and Energy while also serving as Professor in "Sustainable Transition Management" at the Faculty of Economics (Schumpeter School of Business and Economics) at the University of Wuppertal. His work is concerned with the analysis of sustainable transformation processes in the areas of energy, transport, cities and the special role of companies and businesses in this respect. He puts particular emphasis on the close interaction between technical, economic, institutional, and cultural aspects of his field. Apart from his academic contributions to the field of sustainability, Prof Schneidewind is also a member of the German Advisory Council on Global Change (WBGU), the Club of Rome, the German UNESCO Commission (DUK) as well as several other prestigious committees. In 2019, he was listed as one of the 500 most influential German-speaking intellectuals in the Cicero magazine ranking.